Often a subtle tension emerges over the course of a product. When your User Experience team manages both the business analyst hat and the interaction design, these concerns can often be smoothed over as a result of the UX process. Other times, these needs come to be represented by two different teams. It’s important to note that this dichotomy is false; good UX “hits the sweet spot,” and creates products which meet both needs seamlessly. However, that being said, often times the business stakeholders and business goals have a seat at the table; rarely does the user’s. So certain goals are often easier to be met, since a business stakeholder is present and their subconscious goals manifest in terms of “gut feelings,” reactions, or other thoughts/actions. The user’s subconscious [but equally as important in a successful product!] are not well represented. While we can suss out these reactions through proper testing, it’s important for research teams to have an orientation towards understanding these often unstated goals early in the discovery process. 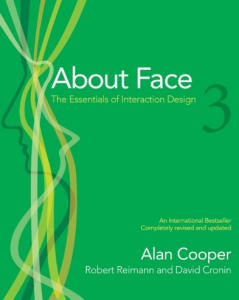 Cooper’s About Face presents a nice orientation towards how we can ensure that we discover enough to represent these internal, and often, subliminal tendencies that affect a user’s perception of a product. Experience goals like “having fun,” “remain focused,” and “feel smart or in control” (page 92) can be assumed. We don’t often need to probe this during our research phase. How often does a user want to feel distracted and stupid? Donald Norman did a great job in his works of illustrating how destructive these emotional states can be when unintentionally designed into a product, so I wont’ go too far into these. These can be assumed. These are the gut feelings that UX researchers can express early and often, and rarely be wrong. The next type of goal is the one that we most often research towards understanding: End Goals (page 93). If we don’t know why a person would pick up our product, how can we find the sweet spot? In short, these are the ones I think the UX profession does the best job of picking out. Finally, I wanted to talk a bit about the type of goal that is the hardest to represent, but at the same time might be the most important (page 93-4). A person might use Instagram to upload a photo. Uploading a photo to share with friends is the end goal; we know how they want to feel when performing that action. But what is the real goal? What is the “Life Goal” that drives their choice to participate in this social network? Tools that can tap into this are going to be most successful: they don’t rely on a user to understand the product to formulate a motivation. They don’t rely as heavily on branding/visual appearance to invite them further. Simply put, a product which appeals to one’s life goals intrinsically creates motivation and investment (94). Cooper offers some suggestions for how to uncover these powerful motivations. “Ethnographic research and cultural modeling are critical for discovering users’ behavior patterns and deeper motivations.” I find that often these sort of things can only be uncovered through extensive face-to-face interactions, with contextual interviewing being the most powerful and most accessible. Without the environment, clues and evidence that might lead you to understanding how the thoughts, words, and goals might be lost. Additionally, they’re rarely spoken aloud. These sort of goals often operate slightly below the liminal for a lot of us. I want to upload a photo to Instagram because I like to share with people, but perhaps I’m uploading because it helps me give meaning to my life and see a narrative of meaningful moments*. These goals often explain or support user goals, which are often developed in tight nexus with the business goals. However, although these are often harder to determine and easier to leave out, I find that when looking at a holistic experience [a la a user journey or user user experience map exercise]. it’s vital to do some research around these and attempt to understand the grander motivations that might support or work against your product. Although often not stated outright, when looking at a series of business goals I think its vital to try and understand the unspoken “life goals” of an organization. An organization may say things like “provide support to x group;” however, the life goal often remains concealed or unspoken. When we create support, what might we want to do? Create an evangelical army for our product, who uncompensated will share with others. Maybe that’s your spoken team goal. Perhaps there’s something below that even further. I think that there’s a nexus of “life goals” for both user and organization, that are implied, but often obscured when looking only at the traditional business goal and user goal orientations. *For example, this is not based on research. I’m just illustrating the type of “life goal” we are talking about, and perhaps giving an example for why it might operate below our conscious.